Ramaz Chikviladze studied Singing at the Conservatory Tiflis. Already during his studies he debuted as soloist at the State Opera Tiflis. He was a member of the Young Ensemble of State Oper a Munich, followed by engagements as Don Prudenzio at Festival Pesaro and in Tel Aviv under the baton of Asher Fisch. At the State Opera Munich he sang a.o. Capulet in „Romeo et Juliette“. Ramaz Chikviladze was also member of the ensemble with the theatre in Dortmund, where he sang a.o. Fafner in „Rheingold“, Leporello and Osmin. He appeared at the Opera Tel Aviv in Boito’s „Mefistofele“, in Monte Carlo as Timur, in Tel Aviv as De Silva in „Ernani“, at Teatro Massimo in Palermo as Fotis in „Greek Passion“, in Riga with „Verdi Requiem“, in Dublin as Zaccharias, in Moscow as Banquo, in Hannover with 9° Beethoven, in Reims as Sarastro, in Dortmund as Leporello, and sang at the opera in Bonn „Ballo in maschera“, Sarastro, Osmin, Landgraf in „Tannhäuser“, Sparafucile, Cook in „Love to the three oranges“, Rodolfo in „Sonnambula“, Commendatore in „Don Giovanni“ and Wassermann in „Rusalka“. Other contracts brought him to Catania as Sparafucile, to Riga as Kotschubei in „Mazeppa“, to Palermo with "Butterfly", to Dortmund as Sparafucile and Bartolo, to Kazan as Gremin, to Stuttgart as Dikoj and to Tiflis as Attila, in Bonn he sang Timur, Wassermann, Geronte in „Manon Lescaut“, Rodolfo in „Sonnambula“, Herr Reich in „Lustige Weiber von Windsor“, Komtur in "Don Giovanni", Bartolo in "Barbiere di Sivglia" and in "Nozze di Figaro" and Orovese in "Norma. 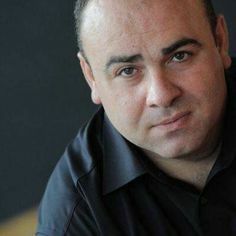 Till 2016 he is heard as Ramfis in Palermo, as Timur in Genoa, as Bonze in "Butterfly” in Nice, as Komtur, Orovese and Bartolo in "Barbiere di Siviglia" in Bonn, as Zacharias in Riga, in a new production "Boheme" in Malmö, and in a new production “Love for the three oranges" in Florence. He sings "Aida" at Festival St.Margarethen, Komtur in "Don Giovanni" in Wuppertal and Luxemburg, "Butterfly" in Lille, Geronte in "Manon Lescaut" in Essen, Wurm in "Luisa Miller" and Bartolo in "Barbiere di Siviglia" in Hamburg, Bartolo in "Barbiere di Siviglia" in Bonn, Mefistofele in Prague, Zacharias in "Nabucco" in Jesi, Raimondo in Bucharest.